We all have down days as bloggers, you know, when you feel a bit lost or unmotivated. It’s easy to get stuck in a rut or to think your blog isn’t progressing the way you want it to, it happens and it’s just one of those things. I thought I’d write a little post (partly to remind myself) on ways to keep content with your blog, incase any of you were feeling a little disheartened! One: Appreciate What You’ve Achieved | This can be anything from big goals or the smallest details. Whether you’ve figured out a bit of HTML or improved your photos or reached a follower milestone, it all counts and it’s all something to be proud of. Two: Don’t Get Caught Up In Numbers | When you see huge bloggers with 100k+ followers, it can make you feel a little disheartened, but remember they all started at 0. They all worked hard, improved their content, made an effort and look where it’s got them. So, whether you have 10 followers or 1000, everyone’s gotta start somewhere and appreciating the followers you have – and not just the followers you want – is always nice. Three: Be Proud Of Your Work | This is something I struggled with before, as I always thought things could be improved and I was never happy. It’s only recently that I’ve come to appreciate the work I put into this blog. It may not be perfect and there’s things I’d love to change, but I can’t do it all at once and that’s ok. Being proud of what you do is so important, so while you may be disappointed with little aspects, always be proud of what content you’ve put out so far. Four: Don’t Compare Your Start To Someone’s Middle | Similarly to not getting caught up in numbers, it’s important to remember to stop comparing yourself to others. There’s so many blogs with amazing content, but wondering why your blog isn’t up there with them when you’ve only just started is completely pointless. Some blogs have been going for years, so just work hard and before you know it someone will be admiring your blog in the same way you’re admiring others. Five: It’s Not A Race | If you think about it, there’s no solid end goal in blogging. Sure, it can lead to jobs but there’s only a select few who can truly make it to full time blogging. So, remember it’s not a race and you don’t need to do everything at once so you can be deemed ‘successful’. Go at your own pace and in your own time. Six: Set Yourself Goals | It’s nice to have goals, big or small. When I got my new camera I set myself a goal to learn the settings and improve my photos, which I’m working towards and feel like I’m getting there day by day. You could set yourself goals for things like photography, or writing or vowing to get involved in at least one blogger chat a week. Even number based goals are a-ok but try not to get too hung up on them. Seven: Pressure Isn’t Good | I’ve talked about this before, but putting pressure on yourself in the blogging world, whether that’s with an unrealistic schedule or buying things solely for posts etc, isn’t good. You’ll end up not able to cope, resulting in you being disappointed with yourself and you’ll be back to square one. As I said above, set some goals and work towards them. 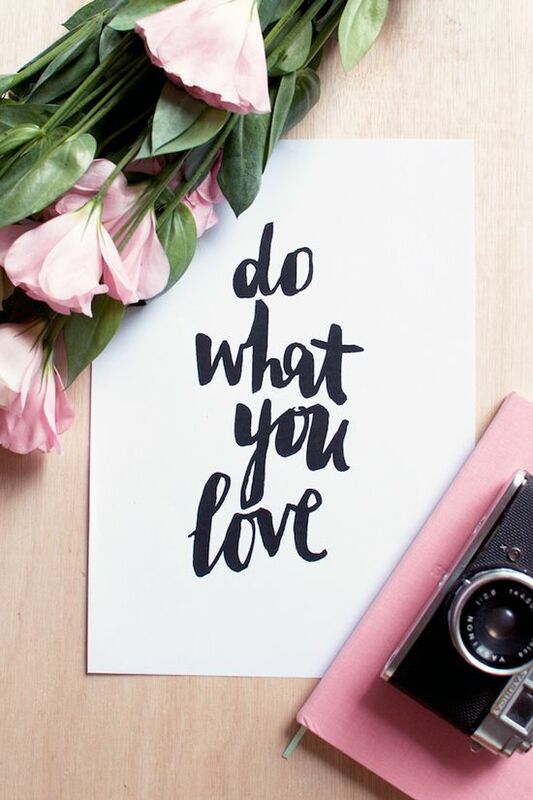 Eight: Write About What You Love | I think this is so important in blogging, as you can usually tell when someone’s heart and soul isn’t in a post. If you love a topic, write about it! Don’t just write half-hearted posts about hyped up products just for the page views, as you’ll end up creating mediocre content. Don’t be afraid to post about something new too, as readers do appreciate a genuine, enthusiastic writer! Nine: All Progress is Good Progress | So, you might be disheartened as your follower number has only went up by one today. Was it one more than yesterday? Yes. Has someone clicked on your blog and liked it that much that they want to read more from you? Yes. That’s progress. It’s all good and you should be proud. Same with sticking to a blogging routine or using social media more. It’s all a process and if you’ve done better than last week, then well done you! Ten: Take A Step Back | Sometimes you just need to take a bit of a step back with blogging to truly figure out what you want to change in order to be happy and move forward. This doesn’t have to be for ages, but as long as you need to refocus your aim and feel motivated and content again! It can make a world of difference to your content and general attitude towards your blog. How do you stay positive with your blog? I’d love to hear your opinions. Please check out my huge blog sale, it all needs to go! Oh and enter my £300 rayban and beauty goodies giveaway too!